"Now may He who supplies seed to the sower, and bread for food, supply and multiply the seed you have sown and increase the fruits of your righteousness,"
The House Urban Affairs committee heard testimony today on an aspect of a state run (but federally funded) subsidized housing program this afternoon. To be honest, we found the entire discussion infuriating. If local governments didn't deliberately use zoning and permitting regulations to make it excessively complicated (ie. expensive) to build, there's wouldn't be a constituency for these types of subsidized housing programs in the first place. The specific program is one that gives the local state rep a de facto veto over subsidized housing developments within their district. This actually became a gigantic issue in Austin last year. But the specific program is a symptom, the fact that local governments make it virtually impossible to build is the disease. 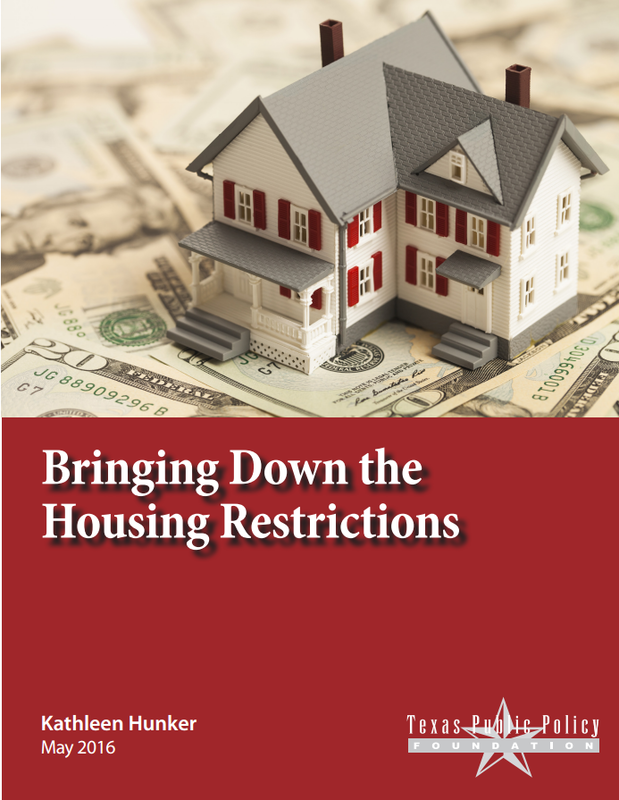 A representative from the Texas Affiliation of Affordable Housing providers called regulations, zoning, and permitting: "a pretty intense process." In context, he was arguing against engaging the local state rep in the process because they weren't intimately familiar with those things. But, unintentionally, he made the case for why those processes should be dramatically simplified (if not outright eliminated). The most infuriating part is that, while subsidized housing will never be sufficient to meaningfully impact affordability for the general population, it drives up housing costs for everyone who doesn't receive a subsidy. Case in point: the program discussed today had about 2570 recent recipients in Harris County and 213 in Collin...but those are areas that have millions of people in the case of Harris and hundreds of thousands in the case of Collin. Furthermore, decisions about who receives subsidized housing tends to be based on political connections rather than genuine need. To his credit, Jason Isaac seemed to understand that these programs can't ever be sufficient but do make things more expensive for the rest of us; we encourage him to trust his instincts. At this point, quoting Reagan has become a tiresome cliche, but we can think of nowhere where this one is more appropriate: "If it moves, tax it. If it keeps moving, regulate it. And if it stops moving, subsidize it." Bottom Line: Subsidies can never fix the problems regulation creates. Which rumored Straus successor recently reported $2.5 million on hand?!? "So God looked upon the earth, and indeed it was corrupt; for all flesh had corrupted their way on the earth." Read the full CFR here. Two important meetings were with leaders of our local school districts. First, I met with school board trustees and Superintendent Brian Gottardy of North East ISD. Later that afternoon, I visited with Alamo Heights ISD Superintendent Kevin Brown and school board trustees Lisa Krenger and Lynn Thompson. Barbara Pierce Bush, the daughter of former President George W. Bush, will headline a Planned Parenthood fundraiser in North Texas on Wednesday. She will be the keynote speaker at Planned Parenthood of Greater Texas' annual Fort Worth luncheon, helping to raise money for an organization that provides an array of reproductive and sexual health services, including abortions. But it's not entirely unexpected. Bush's mother, former First Lady Laura Bush, has expressed support for the legality of abortion on a handful of occasions. The younger Bush, the CEO and co-founder of Global Health Corps, called Planned Parenthood an "exceptional organization" in a June New York Times interview, and attended a fundraiser for Democratic presidential candidate Hillary Clinton in Paris in October. Jeb Bush's grandfather, Prescott Bush, was an active supporter of Planned Parenthood, which was founded by Margaret Sanger in 1921 as the American Birth Control League. In 1947, Bush served as treasurer of the group's first national fundraising campaign—a move he would soon come to regret. In 1950, Prescott Bush narrowly lost an election for a US Senate seat in Connecticut after a columnist revealed his connection to the "Birth Control Society." Bottom Line: Never ever, ever forget that the Bush crime family helped turn Planned Parenthood into the genocidal force it is to day; any pro-life pretenses any of them make are politically convenient lies. For those who've never heard of them: The Center for Public Policy Priorities is a left wing think tank while the Texas Taxpayers and Research Association is the go-to "policy analysis" shop for every big business lobbyist at the Capitol. Notice who's NOT on the list: The Texas Public Policy Foundation. What this means: Lots of special-interest carve out bills along with a staged fight to "prevent tax increases." 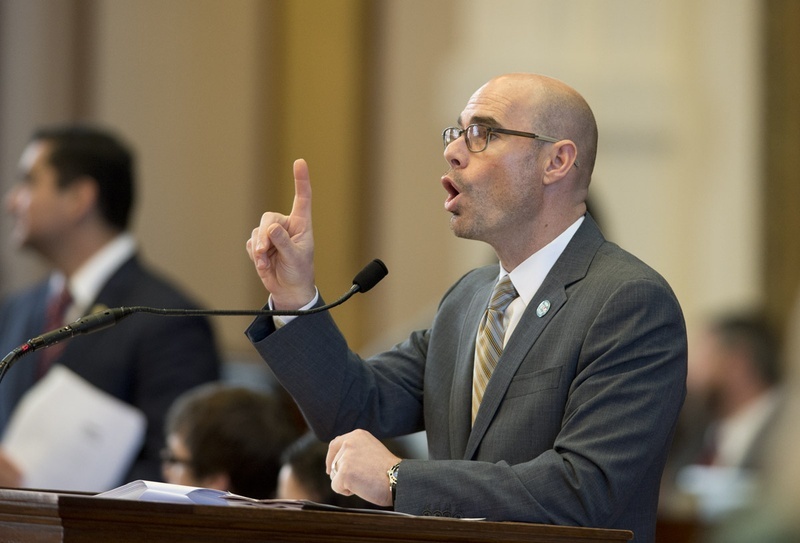 Bottom Line: With Dennis Bonnen chairing the Ways and Means committee again this session, this isn't even remotely surprising though it is both revealing and (in it's own weird way) pretty funny. The Daily Texan has a curious way of choosing its editor-in-chief each year. Candidates write editorials laying out their vision, and then UT-Austin students vote online to “weigh in” on who gets the position (it’s not clear what effect this vote has). The two candidates for the term starting June 1 are Janhavi Nemawarkar and Laura Hallas, and while they have contrasting visions for the job, both fundamentally misunderstand what role the public university can legally play in regulating offensive speech. There is a distinct difference between engaging in a contentious dialogue and the type of hate speech that emboldens racists. It is the role of students, organizations, student-run media and professors to ensure that open, wide-ranging discussions continue on campus. But in the interest of supporting students of color, students and university administrators must draw a line and ensure that individuals who espouse specifically hostile views are not validated by receiving a platform to speak here. Speech can’t be taken in a vacuum — Donald Trump’s presidential election victory was accompanied by an outbreak of hate crimes around the country, including on college campuses. And if Yiannopoulos wanted to come to campus? Let him show his ignorance, but with preconditions. … Yiannopoulos may come if he likes, but he should submit to some fact checking in order to speak. Universities can protect free speech and host controversial speakers without compromising their informative missions. Granting someone an open stage can feel uncomfortably close to an endorsement. The University should allow civil rights leaders and immigration lawyers to speak alongside such a speaker to prevent false equivalency. If this option doesn’t exist, students should fight for such a policy or review process. Something, something "new sources of revenue." Personally, we'd like to eliminate socialized education in it's entirety; failing that, we'd love to cut it a LOT further than they went in '11. Wants appropriations committee budget vote to be unanimous. School finance requires: "undistracted period of time." Tacit endorsement of special session. Backtracks when he realizes he just endorsed a special session and calls for yet another 'study' during the interim. Endorses continued funding of state level border operations. Offers qualified praise of Obamacare. Repeal must be "very carefully thought out." Something, something people who obtained insurance under Obamacare need to be taken care of. Tax relief: "Going to be a challenge." "We need to fund our schools adequately...meet our responsibilities in Health Care" before tax relief. Rainy day fund: "We have to have a conversation" on a raid. Supplemental: "Will be out in the near future." Calls it a "one time expense" re: RDF. On what planet is medicaid not an ongoing expense?!? Parental Educational Choice: "I have to support my public school system." Throws privacy act under the bus. No public conference committee on budget. "We have to get the work done." Our question: Tells bald faced lie about Medicaid expansion. Calls his 2013 approach "innovative." Ignores the fact that he fully endorsed it in 2015. I had to work during today's hearing on SB 18. Had I been able to attend the hearing, I would have testified on the bill without taking a position. Consider this note the equivalent of written testimony. First things first, thank you for your attention to the tuition issue. As we discussed at TPPF's policy orientation, I think a wide range of options should be on the table for the tuition issue. 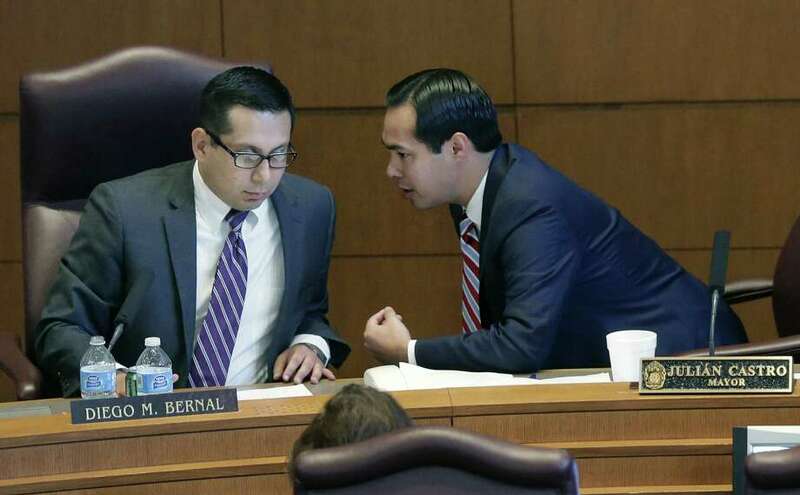 Furthermore, I want to state publicly that considering the degree to which we haven't always seen eye to eye on higher education policy, for you to consider this bill with the promptness that you have is a tangible action I notice and appreciate. That being said, SB 18 makes me nervous. Specifically, SB 18 only ends mandatory tuition set asides. The Universities are still free to engage in the practice, it's just no longer required. Thus, I'm afraid SB 18 will produce a lot of sound and fury (and inflame the identity politics crowd) without changing much on the ground. SB 19 is a much stronger approach. A hard tuition freeze would be a tangible step over which the University of Texas Board of Regents various governing bodies of the various public universities could not defy the legislature. Furthermore, it would be a lot harder for the House to kill it would be significantly more likely to attract meaningful bi-partisan support. Thus, I encourage you hold a hearing on SB 19 at the earliest practical date. But again, thank you for making this issue a priority. Indeed, I'm pleased that you've already voted it out of committee before I'd even sat down to write this note. I look forward to seeing similar action on SB 19 shortly. First things first, as I was sitting down to write this post literally before I logged into blogger, I saw that New Hampshire passed Constitutional Carry this morning; good for them!!! But congrats on the new NRA gig. Let's talk business: The reason I'm writing today is because we both support constitutional carry in Texas; but, absent significant public pressure, it ain't gonna happen. In a memo to members informing them of what to expect from the Texas Legislature, the Texas State Rifle Association omitted the top legislative priority of the state’s Republican Party and what is likely to be the most contentious gun-related issue of the session: constitutional carry. Voted as the number one priority of the Republican Party of Texas by delegates at the 2016 GOP Convention in Dallas, “constitutional carry” refers to removing the licensing requirement for Texans to carry a handgun. 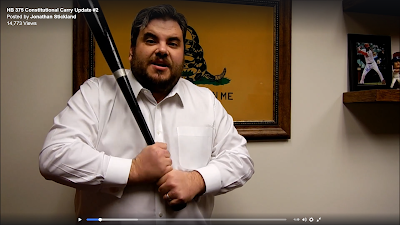 Though conservative State Rep. Jonathan Stickland (R–Beford) pre-filed the legislation in November, thus far the Texas GOP has been glaringly silent with Chairman Tom Mechler refusing to endorse the measure publicly or respond to repeated requests for comment. The TSRA, which claims on its website to support “the fewest restrictions for law-abiding Texas gun owners,” doesn’t mention the legislation at all in a recent letter to members. In fairness to TSRA, they got on board following Cary's post. But they've always been re-active instead of proactive. And that's a charitable interpretation. But, given that we're nearly a third of the way through the current legislative session, let's leave the past in the past. Where do things stand now?!? HB 375 by Jonathan Stickland is the only credible constitutional carry bill to have been filed in either chamber. 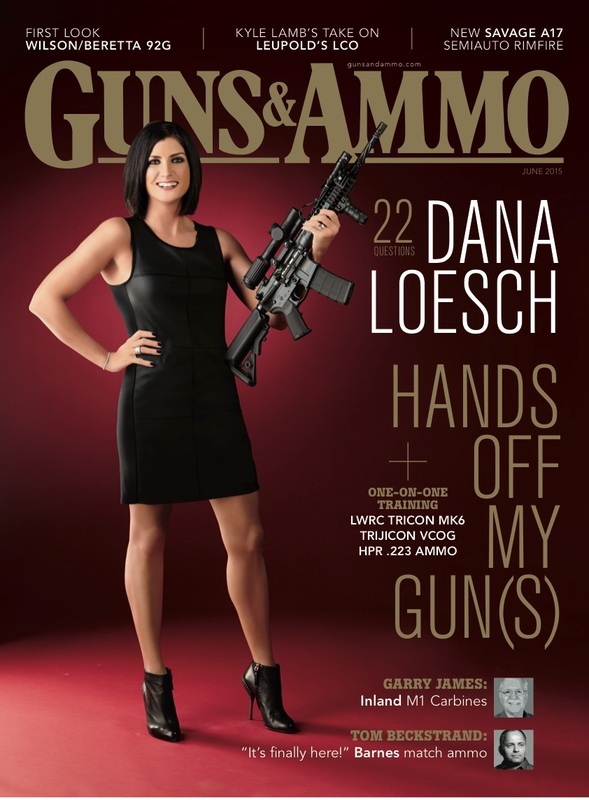 While a second toothless House bill was filed last week, that bill is a distraction designed to create the appearance of second amendment activity without meaningful accomplishment. In the Senate, they have until March 10 to file a companion bill (Don Huffines carried it last session). So, absent a Senate bill getting filed in the next two weeks, HB 375 is the only path forward. 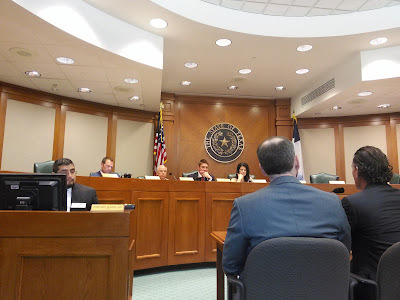 HB 375 was recently referred to the Homeland Security committee, chaired by Phil King; right now, the bill needs a hearing. What can we use from the NRA?!? If the NRA did an e-mail blast to their Texas members, that would generate more than enough pressure to get the bill moving; if they did the same thing at every other stage of the process (four stages total), there's a decent chance it passes. But, absent the sort of numbers only the NRA can bring, it ain't gonna happen. And, considering your new gig, you're now in a position to help make that happen. In an effort to protect the integrity of Medicaid and ensure taxpayer dollars are not being wasted, State Representative Tony Tinderholt has filed HB 1871 to audit the state Medicaid program. Most Texans agree the elimination of abuse and fraud from government programs is important. HB 1871 requires Medicaid recipients recertify their eligibility when current benefits expire. It also begins a quarterly audit of the program. Qualified individuals would be notified to ensure they continue receiving uninterrupted care during the recertification and audit processes. Tinderholt commented on his bill saying, "To make sure resources are available to fund programs like Medicaid, we must stamp out waste in the system. It is our duty as legislators to monitor agency spending and ensure taxpayer dollars are being used in an efficient manner." While exact estimates vary, experts conclude Medicaid waste numbers in the tens of billions of dollars annually in the United States. While funding comes from a number of sources, including state and federal agencies, individual states exhibit the greatest control of finding fraud in the program. Tinderholt said, "If people are receiving benefits to which they are not entitled, we have to get that under control. We want to be sure the funds are there for those that need them most." As a combat veteran, Tony has spent much of his life fighting to protect the life and liberty of others. This bill continues that fight. Tony Tinderholt represents District 94 where he lives with his wife Bethany in Arlington. Tony is a proud father, combat veteran, and conservative Republican. 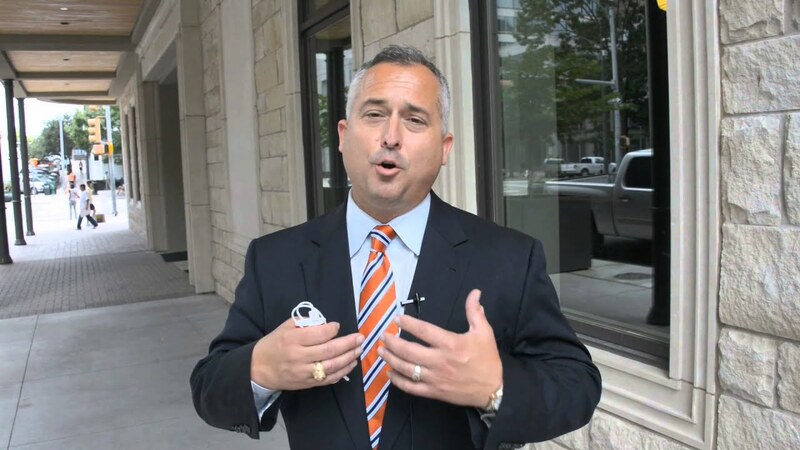 He was ranked the 3rd most conservative legislator of the 150 Texas Representatives. While we're on the subject, learn more about Texas specific examples of Medicaid abusing the vulnerable here. Bottom Line: Medicaid has always been a fiscal trainwreck, but when socialized medicine subsidizes the drug abuse we owe it to our vulnerable citizens to curtail this abusive program. In other words, we owe it to both ourselves and the recipients. That's win/win. They shall plant vineyards and eat their fruit." Strengthen statutory protections against regulatory takings in Sec. 2007.003, Government Code. Although the Texas Constitution prohibits state and local governments from taking private property without adequate compensation, the judiciary has all but limited the provision’s application to physical intrusions and/or seizures. In the instance of a regulatory taking—that is when the government restricts an owner’s right to use his land, thereby markedly reducing its value—Texans have to rely on the Private Real Property Protection Act of 1995 for a remedy. Lawmakers, however, exempted municipalities from the Act’s reach, enabling them to impose heavy-handed restrictions on a parcel’s land use without ever having to worry about the costs inflicted on the owner and/ or prospective seller. By closing that exemption, and by applying the compensation requirement to municipal regulations that diminish a property’s value by at least 20 percent, the Texas Legislature would force local governments to confront and assess the real consequences of their land use and zoning policies. Local governments would still have the power to zone for compatible uses, but the worst manifestations of that power. In other words, those policies that have the gravest impact on housing development would be discouraged. It's worth pointing out that, before he became Lt. 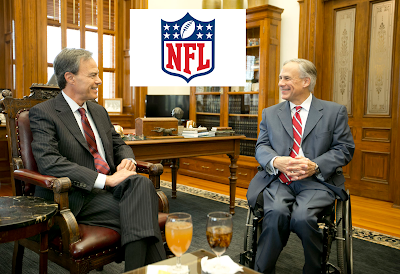 Governor, then-Senator Dan Patrick filed bills related to this subject (that died without a hearing)...which means an advocate exists in leadership. Craig Estes filed a similar bill (that met a similar fate) last session. We've heard rumors there will be a reprisal this session, but so far that appears to be more talk than action. 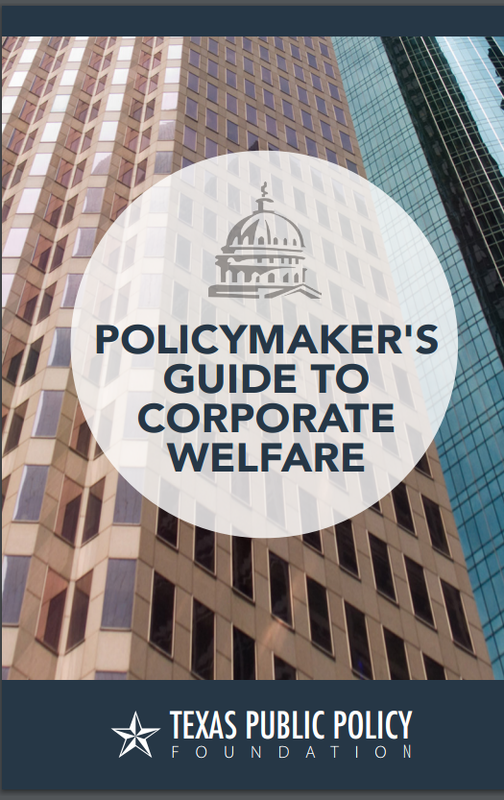 Over the weekend, we read TPPF's recently released Policymaker's Guide to Corporate Welfare; we offer some notes on things we found interesting, but we recommend reading the whole thing yourself. State Subsidies -- Direct payments from taxpayers. Local Tax "Incentives" -- Special interest carve outs that lead to higher rates for everyone else. Regulatory favoritism -- According to TPPF: "the government enacts a series of regulations that essentially locks in a guaranteed revenue stream for existing players, all while discouraging new players from entering the market." Eliminate the Texas Enterprise Fund. Repeal all of the "Event Trust Funds." Eliminate the Texas Moving Image Industry Incentive Program. Eliminate the Agricultural Loan Guarantee Program. Eliminate the Texas Emissions Reduction Program. Eliminate the mandatory Texas' Renewable Portfolio Standard. Abolish the Skills Development Fund. Require "Tax Increment Reinvestment Zones" to publish their financial information on a the local governmental entity in questions public website. Note I: This doesn't go nearly far enough; Tax Increment Financing and Tax Increment Reinvestment Zones should be abolished in their entirety. Note II: The "Transportation" bond Austin passed last year is full of this crap. Allow Chapter 312 "property tax abatements" to expire in 2019!!! Note: Did you know that all local property tax abatements will go away in two years if the legislature does nothing?!? Neither did we!!! The Senate needs to grow a pair and kill this nonsense without a hearing. Eliminate Chapter 313 "abatements" from school districts. Note: Apparently, the office of the comptroller was recently given authority to deny this foolishness as well; we'll be keeping an eye on Glenn Hegar's performance in this area. Require local governments to make their "economic development" policies consistent and transparent. Note: No, we should just abolish this drivel. Eliminate the ability of political subdivisions to impose section 4A and 4B sales taxes. Discontinue public funding for "Economic Development Corporations." Deregulate medical "scope of practice" requirements. Eliminate Texas' "three tier" system of alcohol regulations. Note: The Texas Alcoholic Beverage Commission (TABC) is a public policy abomination that should be abolished in it's entirety. Review every occupational license category in Texas and eliminate all but those that demonstrate the highest level of need to protect health and safety. Note: Licensing is theft. There is no 'health and safety' for any category of license. That's always been true, but it's even truer in a world that includes Yelp! Phil King is the committee chair; has promised a hearing. Bill now needs a hearing. "I don't know if dangerous is the right word, but it's a bit unsettling." "This entire process is really dangerous and will just make gentrification on the east side that much worse." Author's Note: Yes, we're aware of the irony of expressing reservations about using the word dangerous then going ahead and using the word in the next sentence. Demand going up, supply staying the same, means higher prices; higher prices mean more gentrification. "As far as the equity concerns go, personally I think we should be repealing Capitol View Corridor restrictions on the west side." "I understand if we're going to be doing it on the west side we should be doing it on the east side as well...well, let's stop doing it on the west side." "If you want to have housing you can see the Capitol from on the east side, the way this is going, I think that housing is going to be really, really, really expensive." We use the word dangerous a third time. 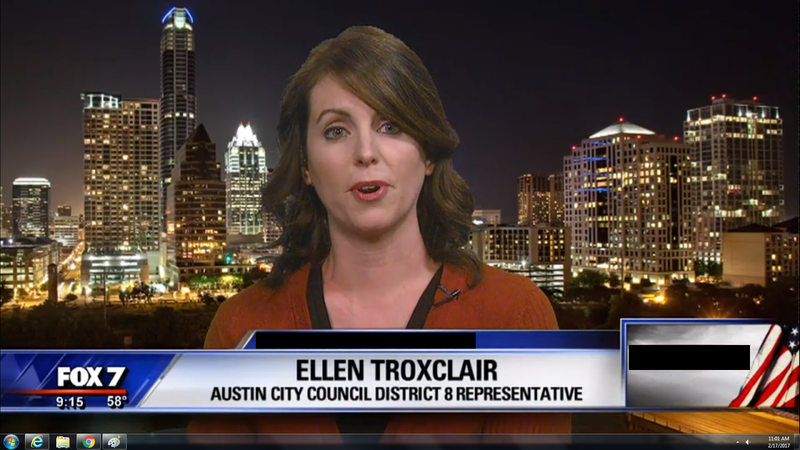 #TROXROX: Troxclair assembles #ATXCouncil coalition to kill asinine city contract!!! We put in an appearance at yesterday's council meeting to discuss the absurd Capitol View Corridor restrictions. We'll address it in a separate post, but the fix appears to be in on that issue as much as it's always been. That being said, while we were at city hall yesterday we did get to observe a pretty awesome silver lining courtesy of Ellen Troxclair!!! This was a contract for trash disposal services at various city owned properties (eg. City Hall). It would have replaced a recently expired contract to provide similar services...but at more than twice the cost. The reason why is that the new contract would have created trash collection routes only for city properties, whereas the previous contract included the city properties as one stop on preexisting residential/commercial trash collection routes. But here's where things get interesting: In addition to the fiscal absurdity of the proposed contract, there were also legitimate environmental concerns; the short version is that several other council members were worried about toxic waste getting dumped in predominantly minority neighborhoods. And Ellen Troxclair did the legwork to put together the fiscal/environmental coalition that led council to unanimously reject the contract. Bottom Line: For all of the headline generating controversy yesterday, we were (once again) impressed with Ellen Troxclair's diligence that will ultimately save taxpayers somewhere in the neighborhood of $10 million!!! "Do not go up, lest you be defeated by your enemies, for the Lord is not among you." A proposal from Austin City Council Member Ora Houston could dramatically affect the redevelopment of East Austin by imposing new height restrictions on future projects to protect certain views of the state Capitol. Houston’s proposal for five new Capitol view corridors comes as developers increasingly eye East Austin for high-rise development, fueling fears about further change in this once-working class part of town. “People in different parts of East Austin need the same kind of views of our Capitol as other people have,” she added. 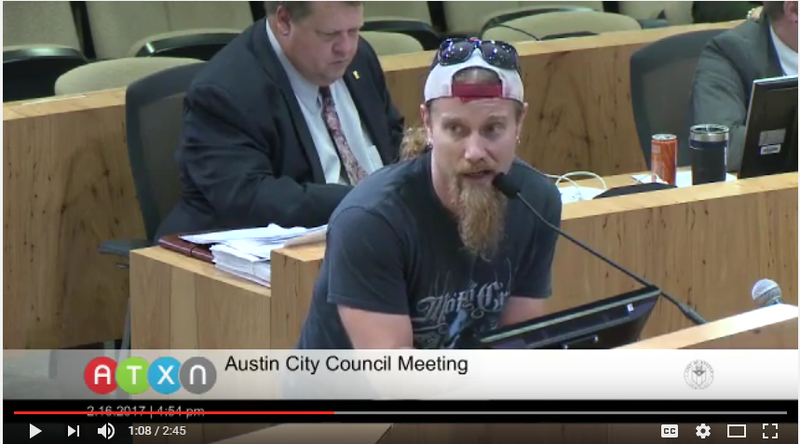 No council member, "people in different parts of East Austin" (like everyone citywide) need 150,000 units of new housing to reverse the trend of ever increasing housing costs we've seen over the past decade; it's economics 101, as supply goes up, price goes down. 'Views of the Capitol' are irrelevant to this discussion. Her bid is co-sponsored by Mayor Steve Adler and Council Members Leslie Pool, Kathie Tovo and Alison Alter. It's not difficult to understand why Tovo, Pool, and Alter [sidenote: Where's Ann Kitchen?!?] support this: This is a typical Austin Neighborhood Council initiative to use any excuse in the book to maintain high housing prices for existing homeowners. Likewise, Adler's motivation is easy to discern: complicated regulations on the front end grease the skids for shady subsidies on the back end. Still, Houston's support for this bullsh...nonsense...is disappointing. Here's the thing: The reason the East Side is gentrifying at such a rapid pace is because the affluent NIMBY's at the Austin Neighborhoods Council have made it impossible to build anything in Central Austin. That impossibility pushes housing demand out to the East Side, which prices existing residents out of their homes. Once again, Economics 101: if demand goes up, and supply is artificially held constant, price goes up. Bottom Line: Council member Houston's proposal can only make gentrification on the east side worse...and it's straight up depressing that someone who should know better fails to grasp this obvious point. The privacy act (SB 6) is dead in the House. Abbott knows this. Thus it's a safe issue to generate headlines in national conservative media, which creates a favorable perception heading into his re-election campaign...which is why we've taken to calling him Governor FoxNews in the first place. Unless Abbott threatens to call a special session over this issue (which he won't), nothing else he says matters. Prediction: By the time this legislative session is over, the privacy act will be a textbook example of failure theater in the Texas Legislature. "Let him who stole steal no longer, but rather let him labor, working with his hands what is good, that he may have something to give him who has need." We attended Konni Burton's press conference on civil asset forfeiture this afternoon and learned something very interesting: Senfronia Thompson is on board!!! 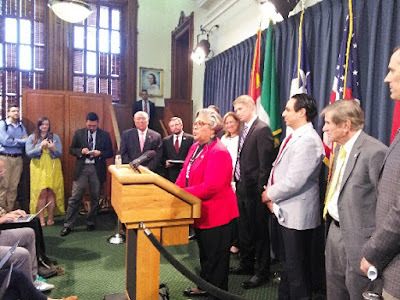 For those who don't know her, Senfronia Thompson is a 22 term veteran and the dean of the Democrats in the Texas House. 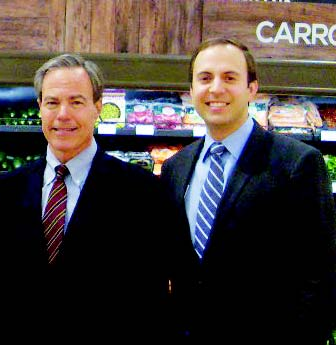 As such, she's a very prominent Joe Straus lieutenant. In this situation, that development is helpful. We can justifiably bemoan the situation, but it doesn't change the fact that having a prominent Joe Straus lieutenant vocally supporting you on a particular bill helps given the current leadership structure. FWIW, the kerfuffle with Trump last week might have actually helped this issue. Given the issues involved, altering civil asset forfeiture was always going to require putting together a right/left coalition to surmount the "law enforcement" industrial complex at the Capitol. And the past week gave Democrats a reason to prioritize this issue to stick it to Trump. Similarly FWIW, this is probably good politics for Joe Straus: he can still kill almost every grassroots priority, but still point out that he passed a prominent Konni Burton bill. Bottom Line: We have low expectations across the board this session, but on this issue circumstances might be lining up in a way we wouldn't have anticipated a month ago. A separate bill by Sen. Charles Perry, R-Lubbock, would ban “dismemberment” abortions performed in the second trimester. Senate Bill 415 requires that there be no fetal heartbeat before a “dilation and evacuation,” or D&E, abortion can be performed, he said. “You are required to terminate the life of a child before you tear it apart piece by piece,” Perry said. “We are not outlawing D&Es,” which he said account for 96 percent of second-trimester abortions. Watson asked what about the bill would enhance the health and safety of women. These policies, while well-intended, only take effect after an abortion. Although these policies reflect the values of Texans — ensuring dignity is afforded to all innocent humans when they die, regardless of circumstance — the proposals do not stop abortion, nor do they offer protection to pregnant women. The 85th Texas Legislature includes 98 Representatives in the 150-member Texas House, who can be relied upon to publicly oppose abortion. Similarly, the 31-member Senate opened with 21 members professing to want to protect the unborn and abortion-vulnerable pregnant women. With overwhelming pro-life majorities in both chambers, the passage of nominal or symbolic pro-life bills that do not protect life before abortion would be embarrassing. In other words, this session will be a dismal failure if the Legislature fails to stop any of the 55,000 abortions occurring within Texas each year. Merely regulating what happens after a baby is killed by abortion is not enough. Bottom Line: While other efforts have merit, SB 415 (the dismemberment abortion ban) is the strongest pro-life bill with a realistic chance of getting through the legislature this session. "We don’t care what the NFL thinks and certainly what their political policies are because they are not a political arm of the state of Texas or the United States of America. They need to learn their place in the United States, which is to govern football, not politics." "I cannot name or even count the number of Texans who told me that they were not watching the NFL," Abbott said. "They were protesting the NFL this year because of the gross political statement allowed to be made by the NFL by allowing these players, who are not oppressed, who are now almost like snowflake little politicians themselves unable to take the United States National Anthem being played." 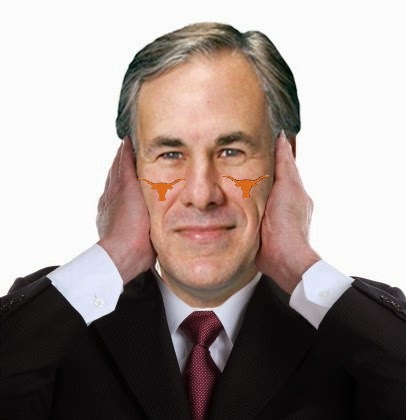 ...The University of Texas does far worse than this on a regular basis, and Greg Abbott has done nothing but protect them in two and a half years as governor. But who cares as long as the Football team carries a couple of flags as they come out of the tunnel, right?!? 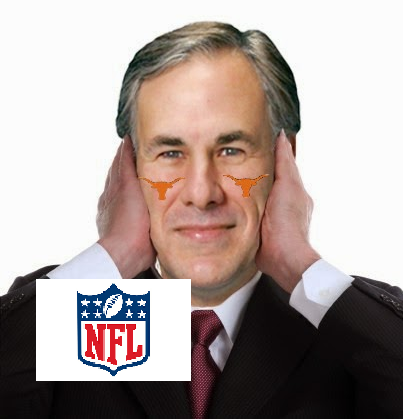 Bottom Line: If Greg Abbott were serious about confronting wealthy institutions that push left-wing social policies while hiding behind patriotism at Football games, he would do something about the one over which he actually has jurisdiction. #TXLEGE House Announces formation of Freedom Caucus!!! The Texas Freedom Caucus was launched today in the Texas House of Representatives. The Texas Freedom Caucus’ mission is to amplify the voice of liberty-minded grassroots Texans who want bold action to protect life, strengthen families, defend the bill of rights, restrain government and revitalize personal and economic freedoms in Texas. Now that the Texas House's committee assignments are out it's worth asking...just how much are the Public Education committee members' local ISD superintendents making?!? Note: Humble ISD hired a new supt. this past summer. Note: Learn more about Kevin Brown here and here. Note: Learn more about San Antonio ISD here. 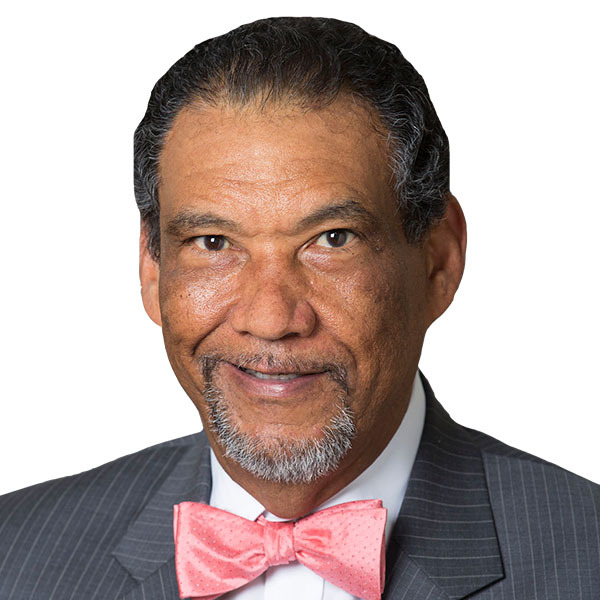 Note: Houston ISD hired a new supt. this past summer. Allen's district includes slivers of two other ISDs, they're too small a percentage of her total district to be worth including in this calculation. Note: Learn more about Cy-Fair ISD here. Note: Learn more about Katy ISD here. Note: Learn more about Beaumont ISD here. Note: Hamshire-Fannett's superintendent recently resigned and a successor has yet to be named. Note: Nederland ISD hired a new supt. last spring. Deshotel's district includes slivers of two other ISD's, but they're too small a percentage of the district to include in the total. Houston ISD: See Allen Above. Humble ISD: See Huberty Above. 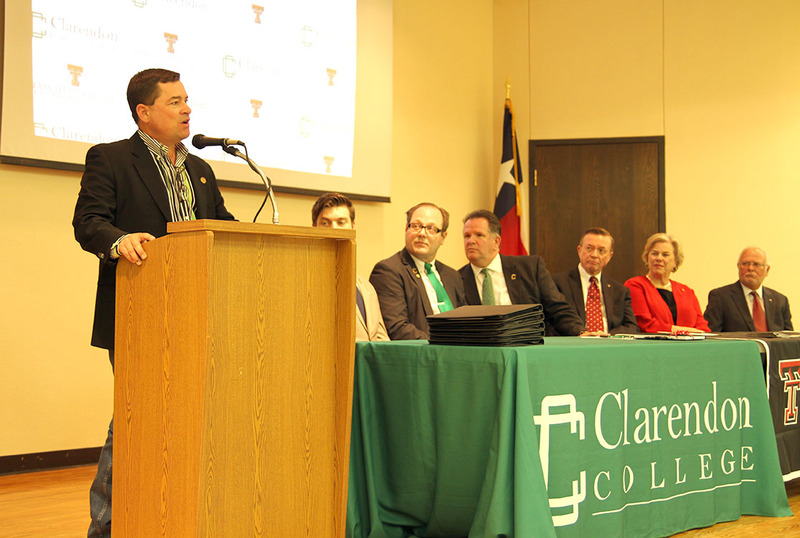 Note: Sheldon ISD hired a new supt. in late 2015. Note: Frankston ISD recently hired a new supt. Note: Layponor ISD recently hired a new supt. Gooden's district includes slivers of four other ISD's, but they're too small a percentage to include in the district total. Note: Less than 500 students. King's district includes slivers of approximately 12 more ISD's that aren't large enough to include in the district total. Note: Learn more about Dallas ISD here. Note: Apparently, Garland ISD's superintendent quit out of the blue 6 weeks ago and...DADGUM. Note: Richardson ISD's last superintendent retired at the end of the 2016 school year. Dallas ISD: See Koop above. 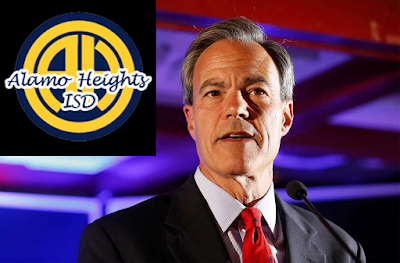 Note: Oh fun, learn everything you need to know about Highland Park ISD here. Note: Hooks ISD hired a new supt. this past summer. Note: Hubbard ISD only has 83 students. Note: Leary ISD only has 122 students. Note: Malta ISD only has 119 students. VanDeaver has slivers of three additional ISD's in his district that are too small to be worth including in the final calculation. Revelation 22:12-21 -- COME, Lord Jesus!! !